I made a reservation using the first telephone number that came up when conducting a google search for “Red Chilli, Sydney Chinatown”. On the night, we again used trusty google maps to lead us to our destination. We followed google and walked past Eating World Food Court, and arrived at the large Red Chilli Restaurant at the corner. Wrong! We had actually booked with the smaller Red Chilli Restaurant across the street, up Golburn Street and along Dixon Street, a couple of minutes walk away. So all in all it was completely fine, just a little confusing! Point of the story is, don’t always blindly follow google. 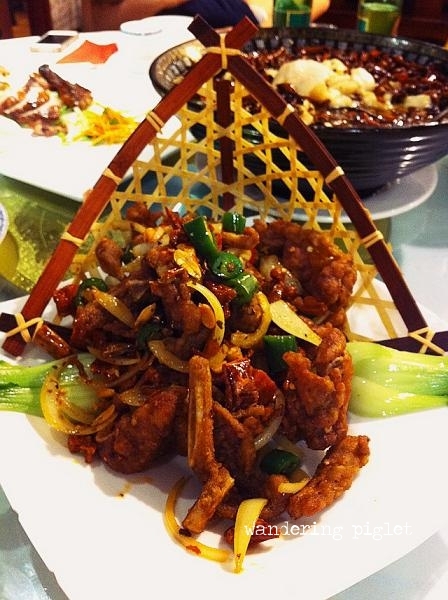 I must say I have never been a huge fan of Sichuan food. I don’t dislike it, and I don’t mind the flavour of the sichuan pepper, but by the same token I don’t overly enjoy accidentally biting into the peppers which results in a strange and rather unpleasant tingling and numbing sensation. This tends to lasts for at least a couple of minutes, after each accidental bite! 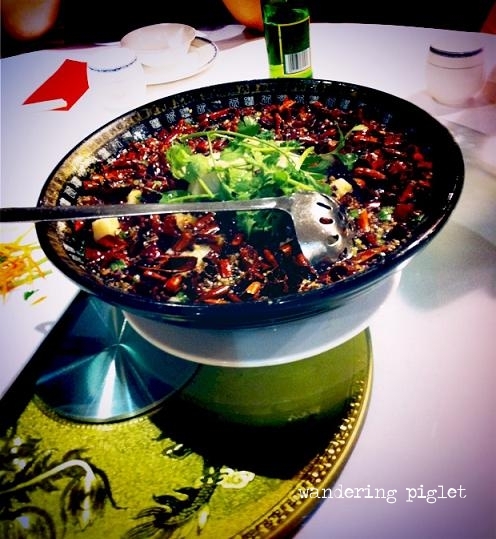 Note, not all dishes on the menu are laced with sichuan pepper. 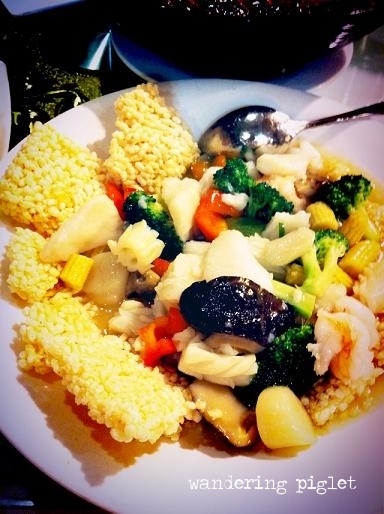 The seafood, vegetables and rice cakes, was quite nice. The seafood was very tender and succulent and went well with the rice. This next dish comprised of fish in a oil/broth with sichuan pepper. This was actually one of my favourite dishes of the night. The fish was so incredibly tender, and melted in your mouth as you ate it. I just made sure after I fished it out into my bowl, I scrapped off all the peppercorns. But found this dish very pleasant to eat! And really not oily in the least which was quite surprising. The smoked tea duck wasn’t as successfully done as the other dishes. This was extremely mediocre. The duck was a bit fatty, the smoked flavour wasn’t quite right. It wasn’t smoked enough, and still had a very duck/gamey flavour to it. The buns were average. The buns were okay, but by the time it had reached the table, the bottoms of the buns were a bit soggy and had condensation on it. Not overly pleasant! Lastly the pork ribs, were not bad. The batter was very tasty. It tasted like a mix of salt, pepper and sichuan pepper in the batter. The non-bone battered pieces were tender and went very well with rice. The bits of pork with bone, didn’t tend to have a lot of meat along with the bone. There were six of us, and these four dishes were sufficient, and we still had food remaining. Worked out to $25 per person inclusive of rice, tea and tsingtao beer.